A Nevada Highway Patrol officer's badge is credited for saving his life during a gunfight with a suspect. The man was shot and killed. A bullet also hit the officer in the chest. 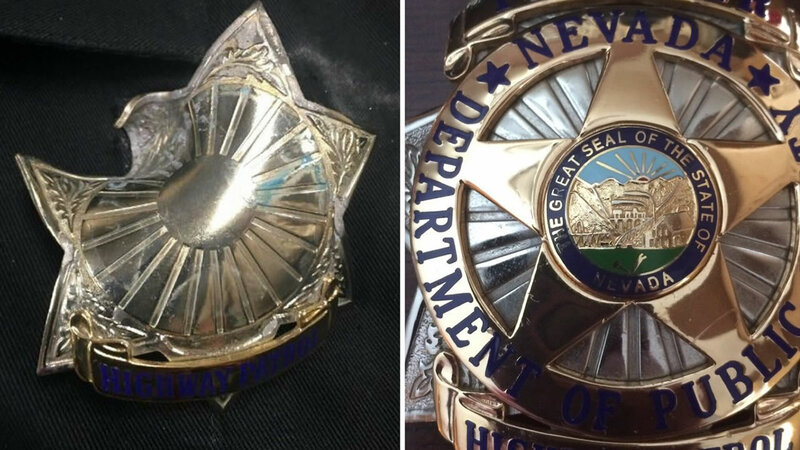 The highway patrol shared a picture of the badge, saying it stopped the bullet. Hours later an officer's life was saved in Huntington Beach, when his badge deflected a bullet.